Meanwhile, the app is all messed up. Are you saying that this is part of the above mentioned conspiracy? Glad it’s not just me. Does it mean that the conspirators lost an argument, now? it is clear that they have set limits and control the revenue I think, I can give myself an example, It's not just an agency, it's all the same. When you start selling new, your earnings will increase with time, if it was not so, nobody would continue this job, the bad side of the business is that as time goes on, no matter how hard you work, your earnings will gradually decrease. This is nothing but a rowing. People are hoping for nothing and it is getting ridiculous time by time. At least I am in this situation at the moment and I think most people are experiencing this. - See, there's money in it, thinking that as time goes by I increase my portfolio and raise my income. - No man, this is trap, do not trust these things or you will be in a difficult situation like me. DO NOT QUIT YOUR JOB FOR THIS!!! All affected users will need to log out and then log back in to see the fix. Log out then log in and the conspiracy goes away! Or does it? Maybe the reason it’s not working is because they are still fine-tuning the control. When you start selling new, your earnings will increase with time, so that no one would continue this business, the bad side of the business is that as time goes on, no matter how hard you work, your earnings will gradually decrease. Yeah, but that's how it works. It's painfully obvious to anyone who stops to think about how stock works for more than a few minutes that that is how it works... that's always how it has worked... and it's always how it will work. And that has nothing in the slightest to do with controlled revenue. Bro, everything can be alright for you now, I saw your portfolio, your jobs are amazing, congratulations, you can be one of the very few who are good at sales these days, but this does not change the truth that is general. I am sure that your sales of a few years ago are better than current sales, isnt it? Just to be on the safe side, I’m a big fan of SS. I see no conspiracy whatsoever at shutterstock. I think they’re doing a great job. Thanks man. But no, my sales have increased every year since I started in 2009. The increase is steadily getting smaller though. If things carry on as they are, 2018 will be about 20% higher than 2017, I'm guessing 2019 will be 10% higher than 2018, 2020 will be static and then it will all be downhill from there on in. Although I have a couple of cunning plans which should stave off the decrease for an additional year or two. Always been that way everywhere from the start, new get a boost and earnings gradually decrease as RPI drops. Not earnings control just normal work harder make less per image as competition grows 100 times faster than any individual can. Competition or a flat growth market is not income control. My SS earnings dropped some but now are stable. Let me see what happens after another year. IS dropped, DT dropped, AS has grown. Top and Middle have all dropped except AS and Pond. Are they all in on the controlled income conspiracy? The short answer is that it's possible, but it's highly unlikely. Nobody has yet produced any compelling evidence to support the theory. Possible doesn't mean probable, I agree. Evidence or proof, that would be nice but also unlikely. When anyone can make any claim and others will believe and repeat the same unfounded conjecture... then the myths become factoids. It's pretty much the end for stock photography. RIP SS and the rest. Tragically depressing. You mean RIP SS contributors, right? Pretty sure SS, and the rest, will be fine for the most part. Its been the end for the seven or so years I've been doing this....sooner or later the doom mongers will be right. Then they will be so happy saying "see I told you so years ago"....though no one is going to come and take the money banked away. We are suppliers though and I think throughout history they have never been treated better than the laws of supply and demand dictate ;-). Photography is so easy and affordable these days. This leads to an oversupply of contributors willing to work for peanuts and often even for free, just for bragging rights. Since SS & Co are no charities, they pay exactly what we are willing to accept. Listen people! SS is the most honest company in the world. Its the only company in the world that put its contributors at first before profit!...in fact they are so honest and kind to their members that the present Pope have awarded them " The charity and humanity award". So dont ever dream that they would be involved in rigging the search or even touch the search! they would rather sacrifice their profit then cook the algorithm. Skull-duggery is not even in their minds or thoughts! Pretty sure you know what I mean. 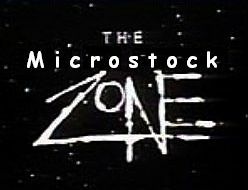 My main point is that there is a market for microstock. Yes I agree its just that I think sometimes people have unrealistic expectations of what microstock sites "owe" them. (which is precisely nothing). My sales for the last few days are exactly 3 adding up to a pathetic $1.08 per day This is controlled for sure. How many sales should you have got? Similar numbers as other sites that don't do capping? But wait they are all dead too . Do you use a controlled vocabulary to add keywords in Lightroom? Bad Behavior has blocked 61333 access attempts in the last 7 days.